Kuzco, Disney's Bad Boy Hero, by Whatsits Galore. The Emperor's New Groove is not your typical Disney animated feature in several significant ways. It's not a musical, the energy level is manic, as is the humor, and there's no love interest for the star. Perhaps the most unusual aspect of the movie is Kuzco himself. As a hero, he's...well, he's not. Let's take a closer look at Kuzco. He begins the film as the most unsympathetic anti-hero imaginable. He's egotistical, self-centered, rude, inconsiderate, not your average Disney good guy by any means. He looks upon his position as emperor as solely a means of self-gratification, whether that gratification comes through bulldozing an entire village or tossing an old man out the window. The movie storyline puts Kuzco on the road to change when he meets the selfless peasant Pacha, the only one of his subjects who actually cares what happens to Kuzco. By journey's end we find a kinder, gentler emperor who becomes friendly with everybody and even apologizes to the window guy. 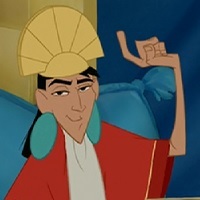 Although he starts out as an unlikable brat, Kuzco grows into a worthwhile ruler and sympathetic character. Is Kuzco's bad-boy status unique? Hardly. Disney has had a few other unheroic heroes in the past. 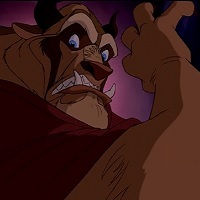 The Beast was a volatile, violent monster until he fell in love, while Aladdin is a thief and a liar for most of his film. In both cases, however, Disney softened the negative impact of these characters. With Beauty and the Beast, the focus is much more on Belle and her reactions to the Beast. She's the one the audience roots for as she deals with his uncontrolled temper. Aladdin required more work on the part of the writers to make the hero palatable. The thieving Al is never shown stealing money, only food, some of which he gives to starving, big-eyed children. Also, both the merchants of Agrabah and the palace guards are mean, unlikable characters, giving Aladdin a distinct advantage in the sympathies of the audience. Not until the very end of the film does he learn his lesson about honesty, presumably giving up stealing for good. Perhaps the Disney hero closest in spirit to Kuzco is Peter Pan. Like the young emperor, he's completely self-absorbed, conceited, even cruel, and doesn't think twice about offending Wendy, the Lost Boys, or Tinker Bell. Many Disney heroes have killed their enemies, but only Pan enjoys the attempt. The only character growth he makes by the end of the movie is in acknowledging how much he cares for Tink, yet Peter is much beloved among fans. 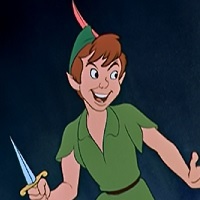 True, he has his good points: Pan is courageous, a skilled combatant, and a man, or boy, of his word. But he's no prince charming, nor a knight in shining armor. Maybe it's Peter's ethereal qualities that have endeared him to audiences for so many decades: the elfin features, unnaturally quick movements, and, of course, power of flight. Alas, poor Kuzco, he's only an ordinary human; his unpleasant traits are not set off by any super powers to make him more likable. And so he remains Disney's pre-eminent bad boy hero. 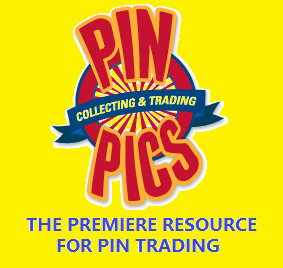 All Disney characters & images © Disney and are used for fan purposes only. 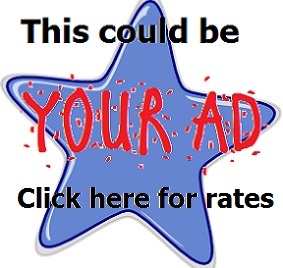 All other content © 2001-2019 Whatsits Galore.